The Whom are an English band. In Bart's oral school report about Francis Scott Key he found out at he was going to play during a British Invasion and their bands had taken his fans. 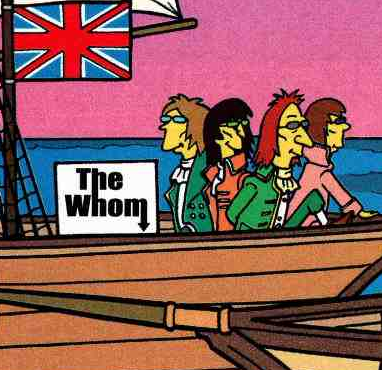 One of the British music bands was The Whom. The band is a parody of The Who, who voiced themselves in the season 12 episode "A Tale of Two Springfields".